Although there are several types of crowns, porcelain (tooth-coloured) are the most popular. They are highly durable and will last many years, but like most dental restorations, they will eventually need to be replaced. Porcelain crowns are made to match the shape, size, and colour of your teeth giving you a natural, long-lasting beautiful smile. A fixed bridge is a dental restoration to that is fixed to surrounding teeth. The bridge fills (bridges) the gap left by the missing teeth, preventing the surrounding teeth from moving into the gap and becoming misaligned. 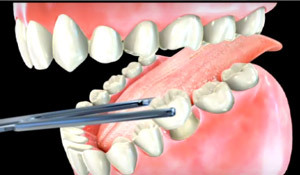 A fixed bridge is a less invasive treatment than a dental implant. In cases where the surrounding teeth are strong enough to support the bridge, it is an excellent solution to maintain alignment and create a beautiful smile. Your dentist can craft a bridge that perfectly matches the color of the surrounding teeth, shaped to enhance your smile even more than the teeth it replaces.